Doug Liman directs this US crime thriller based on true events. 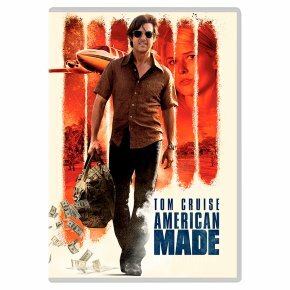 Tom Cruise stars as Barry Seal, a pilot for Trans World Airlines who became a drug smuggler for the Colombian Medellin cartel in the 1980s. After being recruited by the notorious drug lords to move shipments of cocaine from Columbia to an airbase in Mena, Arkansas, Seal also becomes involved with the CIA and DEA who are looking for him to provide information on the Columbian's activities while also secretly transporting weapons into South America for them. However, with the cartel continuing to increase their shipments to the US, it's not long before events begin to spiral out of control. The cast also includes Domhnall Gleeson, Sarah Wright and Jayma Mays.